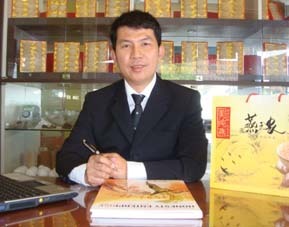 John Peor, the founder and chief executive officer of Yenzheka, is a native of Klang. After completing secondary school, John worked labouriously at several odd jobs In Kuala Lumpur. Then at the age of 21, spurred by his interest in both audio visual and automobiles, John Peor returned to his hometown and started a business specialising in customised car accessories and car audio parts. His business flourished and expanded to several branches. The year 1997 saw the rise of the Asian Financial Crisis, which effectively plunged much of Asia into financial turmoil. John, like other businessmen, had begun to feel the impact of the crisis. Even though the car accessories business has been John’s lifeblood, slumping sales and thinning profit margins gave John many sleepless nights. Thus begin an active effort to search for alternative revenue stream. An audio project with an Indonesian businessman sparked an inspiration in a business which at that time, not a lot of people knew about, especially in Malaysia. This Indonesian businessman, had wanted John to set up a non-stop CD playing audio system to attract swiftlets to build their nests in designated empty buildings, thus, creating a ‘birdnest farm’. John, an acute businessman, sensed that this is the next big wave – professionally cultivating birdnest farm, from which high quality birdnest can be harvested cleanly and safely. However, it is only after much effort and persistence from John that this Indonesian master birdnest farmer is convinced of John’s vision and sincerity - he proceeded to mentor John on the secrets of the birdnest farming industry. This signals a new chapter in John Peor's entrepreneurial journey and Yenzheka was born and along it, pioneering several new techniques and innovations in the birdnest industry.